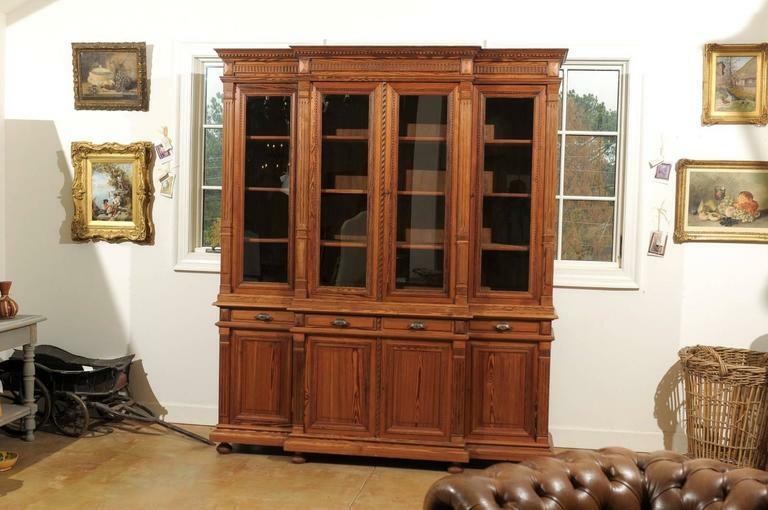 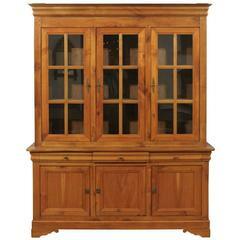 A French pitch pine and glass door breakfront bookcase from the turn of the century. 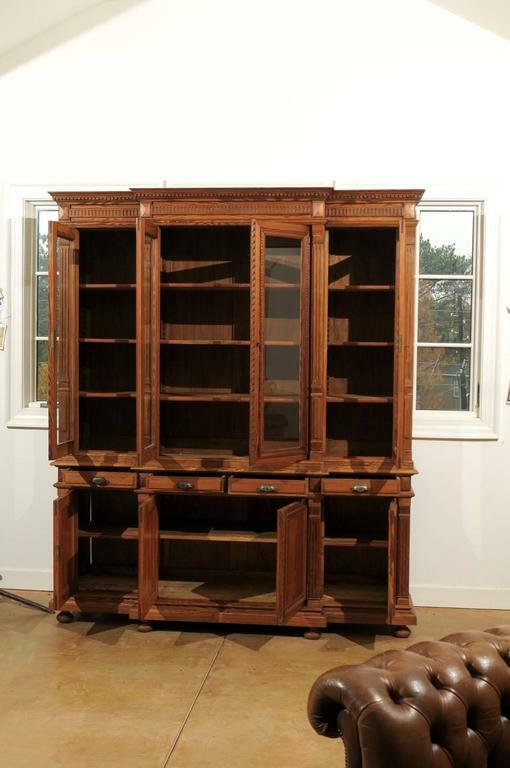 This French bookcase features four glass doors making up the upper part of the piece. 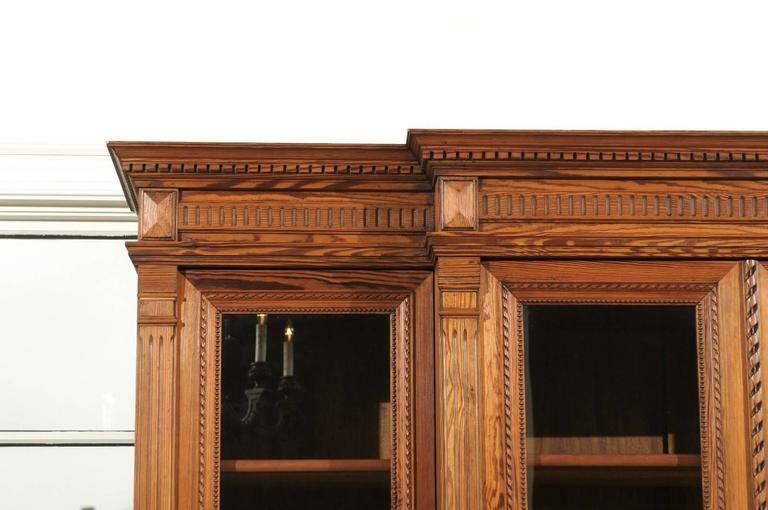 The bookcase is adorned with a dentil molding on the upper cornice, contrasting nicely with the fluted frieze placed directly below. 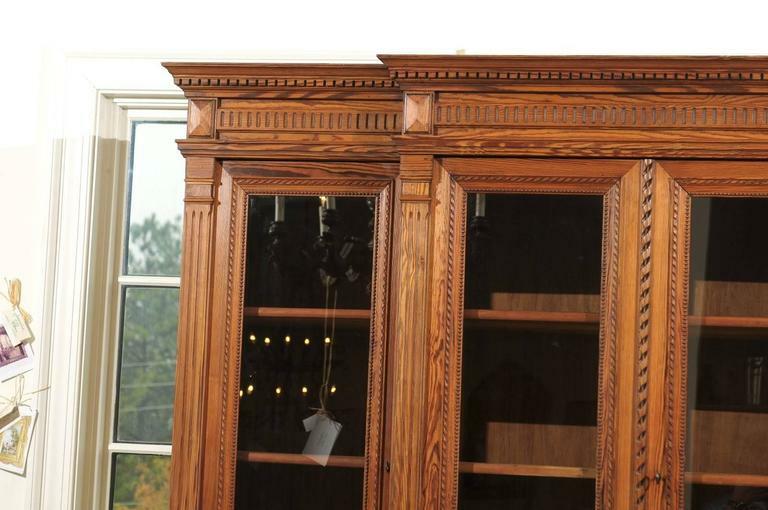 Each door is decorated with exquisite beads and twirling ribbons and are flanked with thin Doric style fluted pilasters. 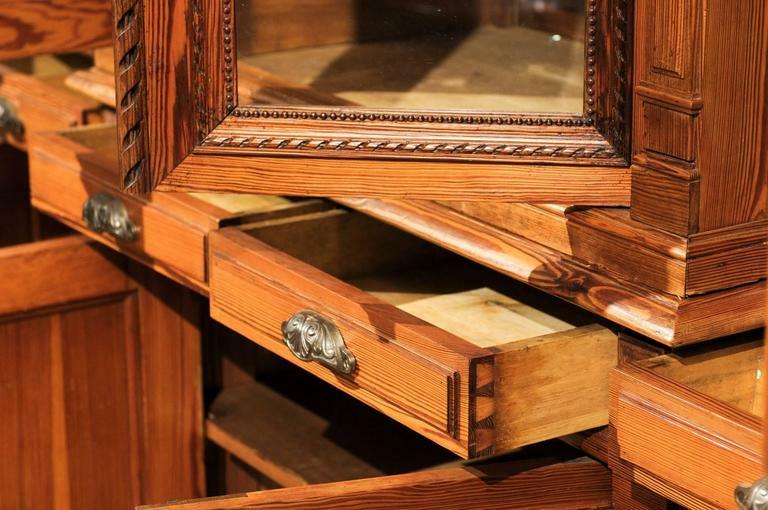 They open to reveal adjustable inner shelves. 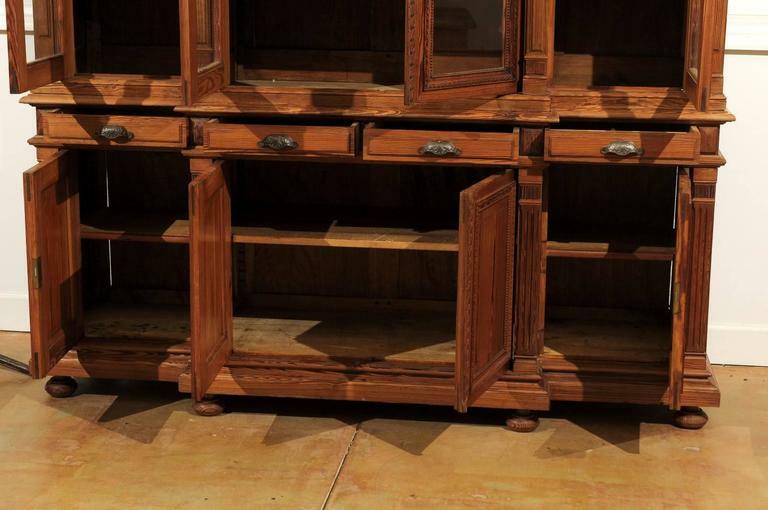 The lower cabinet features four dovetailed drawers sitting atop four wooden doors providing additional storage opportunities. 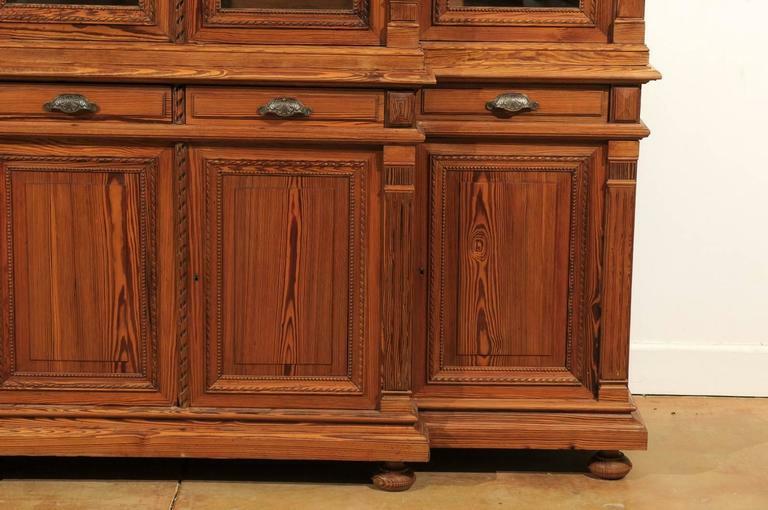 The ensemble is raised on bun feet. 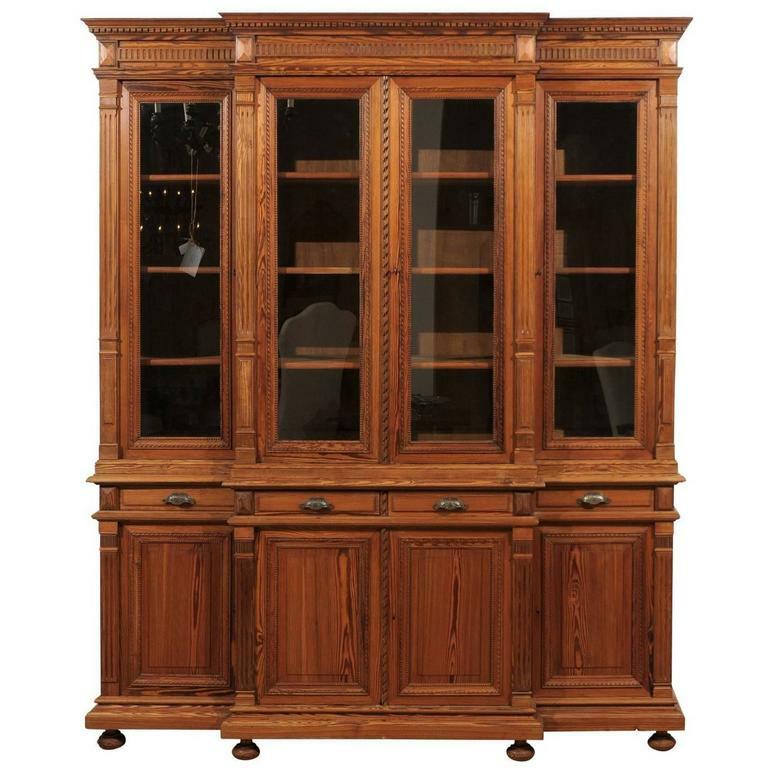 The Neoclassical décor, the beautiful wood grain and patina, combined with the linear silhouette softened by the nice movement of the facade, make this French breakfront bookcase circa 1890-1910 an excellent choice for any living room, office or library. 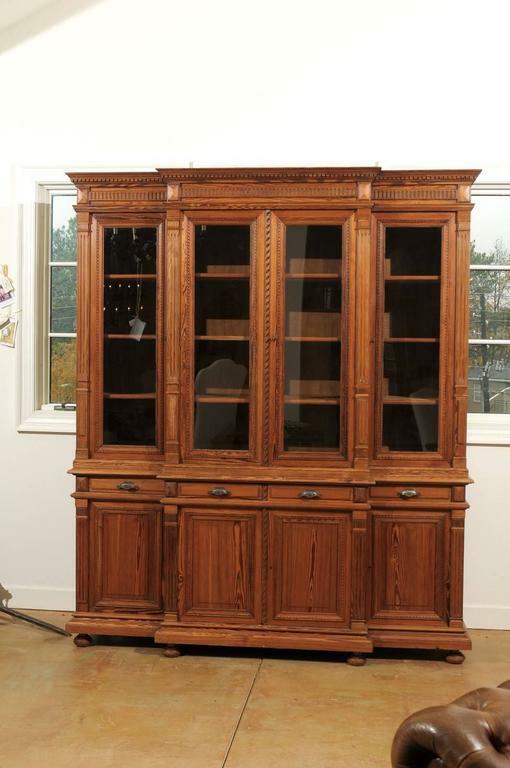 An 18th century triple breakfront bookcase, in pine with anthemion and scroll carving to the pediment in overall wonderful condition.